It is a period of civil war and the galactic empire struggles to maintain control in the face of defiance from the Rebel Alliance. Pick a side and control starships and operatives of the Galactic Civil War. 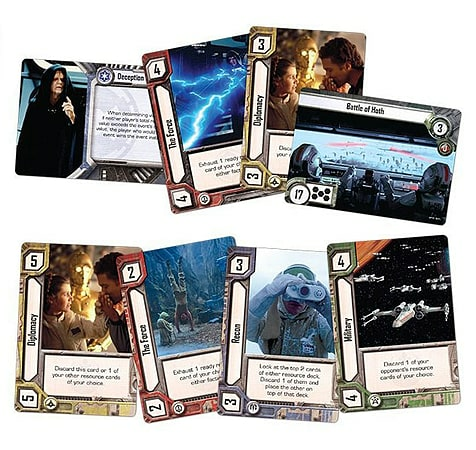 Using heroes such as Luke Skywalker, Leia Organa and Darth Vader, choose your strategy and outwit your opponent to win this final struggle. The fate of the galaxy rests in your hands!